Although I have posted these pictures before I just had to share them again. 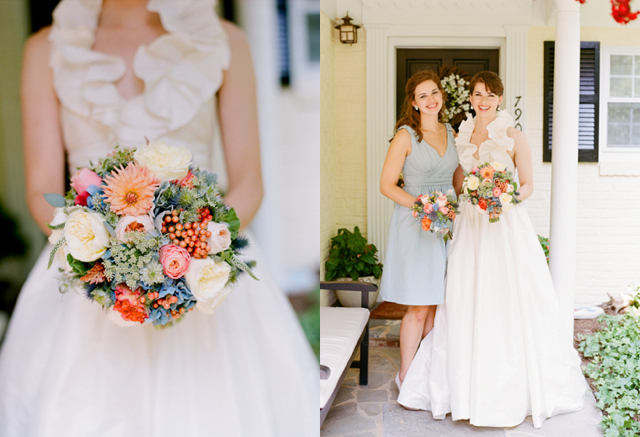 This coral, peach, and blue color combinations is one of my all time favorites. With summer just around the bend, I am looking forward to having these flowers back in my hands again. Coral dahlias, peach juliet roses, blue hydrangea, blue thistle, peach viburnum berry, queen annes lace, and free spirit roses were used to create these lovely bouquets. Photography by Kate Headley. This wedding was also featured in Southern Living Weddings. Such a perfect summer color palette! I am in love with these flowers! These arrangements are just so pretty! 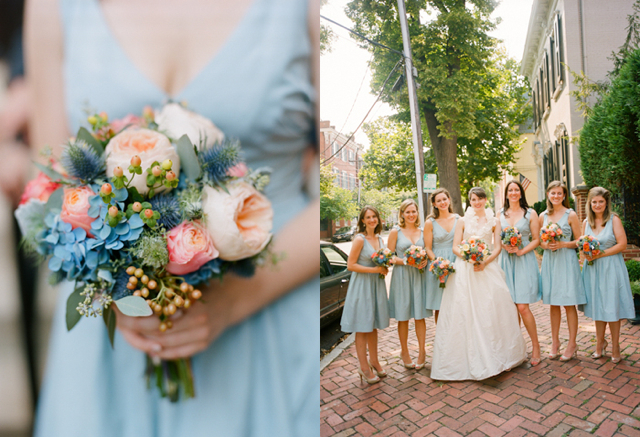 I love all the textures and colors, so beautiful against the blue dresses! Beautiful work!